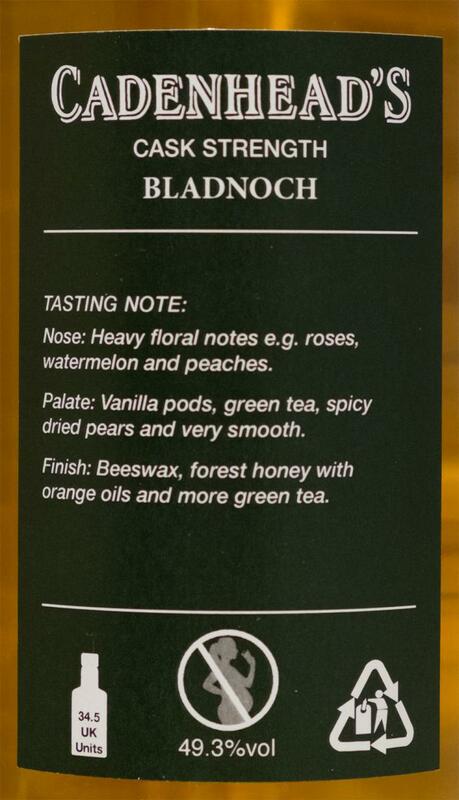 The colour is pale gold and the nose offers exactly this adorable green apples-centered profile Bladnoch is known for. Some additional citric and home-grown fruits join but stay rather shy as do some nice summer floral aromas. The heather honey and barley sugars grow stronger upon breathing and create a subtle and delicate nose that takes its time to enfold. No off-note that I can detect and the woods are just about right. The taste is fruity-sweet with perfectly fitting spicy flavours and some rather strong wooden notes that are a little too much (but still bearable). They turn the taste more bitter over time before a salvating barley sugary note counters this, just in time before it got unpleasant. The sugars combine to a delicious (white) chocolatey flavour with a tasty nutty-marzipan touch, finally. 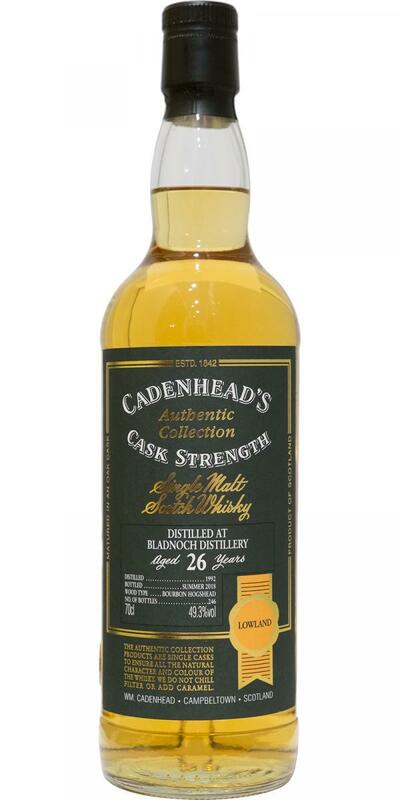 The dram arrives warming and (a little) coating on the palate with a minor drying-astringent feeling (tannins). The finish is of medium length and gets sweeter with more honey flavours. Interestingly, the drying moments from the first mouthfeel vanished almost completely now. Water is not needed as it flattens the nose (but it releases the chocolatey-nutty-marzipan note instantly). I like to nose it neat and prefer to drink it a little reduced to about 43% abv. Nose: Heavy floral notes like roses, watermelon and peaches. Palate: Real vanilla, green tea, spicy dried pears and very smooth. Finish: Beeswax, forest honey with orange oils and more green tea. Heavy floral notes e.g. roses, watermelon and peaches. Real vanilla, green tea, spicy dried pears and very smooth. Beeswax, forest honey with orange oils and more green tea.